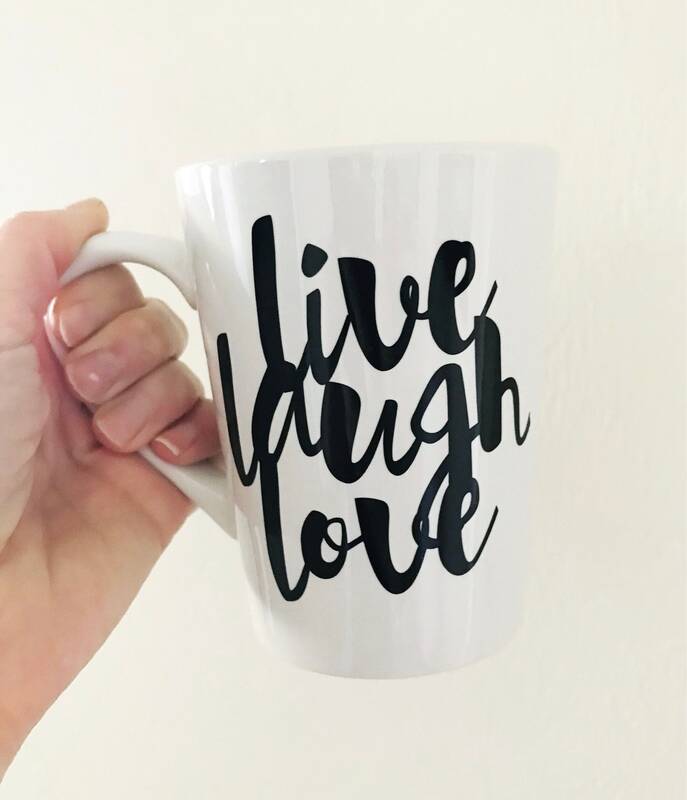 Perfect statement mug with the perfect life mantra. 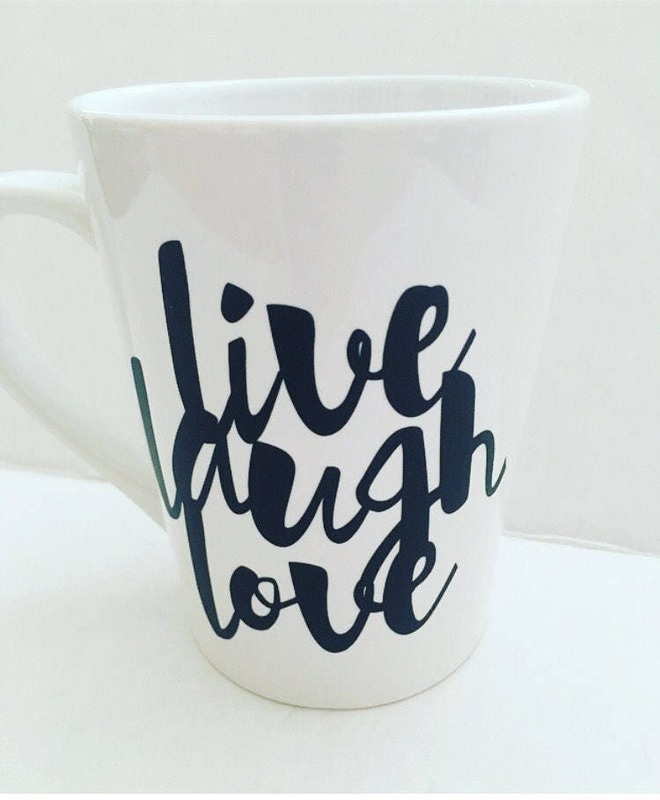 Always, live, laugh and love in all you do. 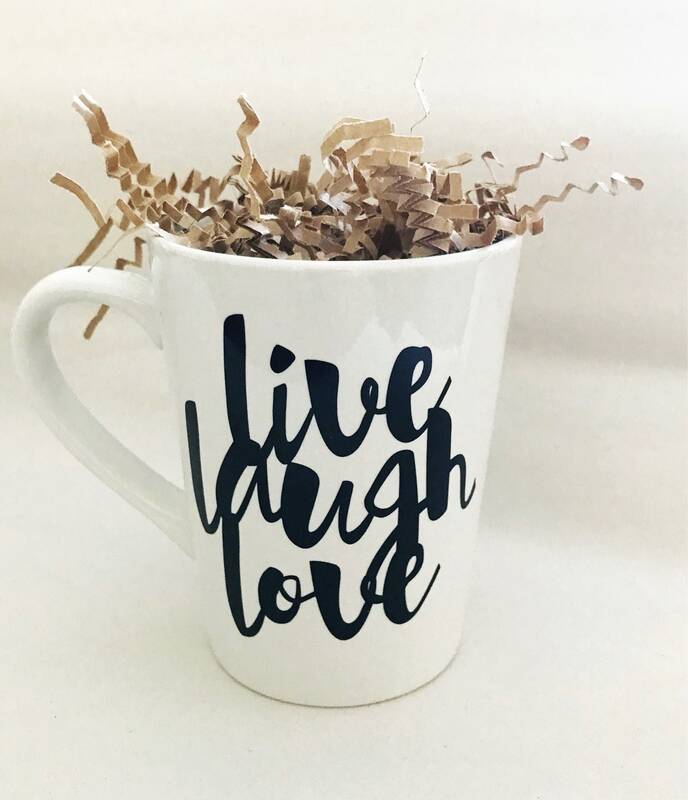 Enjoy your coffee in this custom 14oz ceramic mug with black permanent vinyl every morning before heading out the door. Or gift to your favorite coffee lover, they would love this! Custom orders are welcomed and appreciated. Please message seller for request.